Our warehouse contains the largest selection of rental formal wear items in America. Browse by color, style, manufacturer, and more! Whether you're in L.A., Little Rock, or your home town, our network of partner rental stores are always nearby! Show up in style, knowing you're sporting the hottest fashion styles in formal wear. MyTuxedoCatalog.com is the premier online source of rental tuxedo styles for retailers and consumers across America. We maintain a huge selection of nearly 100 styles of rental Tuxedos & Suits that are perfect for any formal event, from wedding tuxedos and prom tuxedos to formalwear for any occasion. 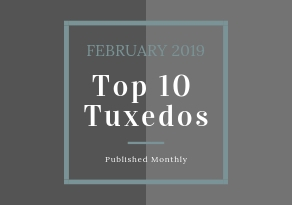 Browse our online tuxedo catalog, Locate an Authorized Dealer, or contact us today to learn about how your business can become a wholesale tuxedo rental account.